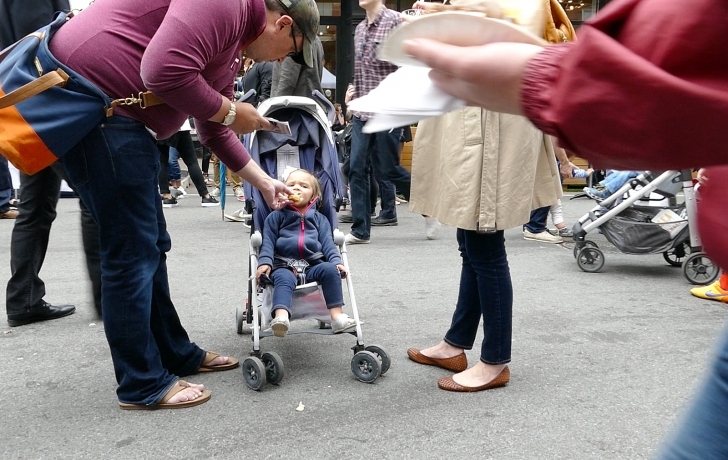 Here are some morsels of memories from the 22nd annual Taste of Tribeca, held May 21 on Duane and Greenwich Streets. This year’s popular event, benefiting P.S. 234 and P.S. 150, featured 67 restaurants, a KidsZone, SportsZone, live music and, as always, a bevy of volunteers. Into the culinary extravaganza a little rain had to fall, but only towards the end and hardly enough to dampen the spirits of this feasting crowd.